Check your main engine fluids to be sure you’re in tip-top operating shape! B. The oil that is present is in a functional state to do its job. If you get your oil changed regularly(we recommend every 5,000mi for conventional oil and 7,500mi for synthetic oil) you will rarely have to worry about the functionality of your engine oil. 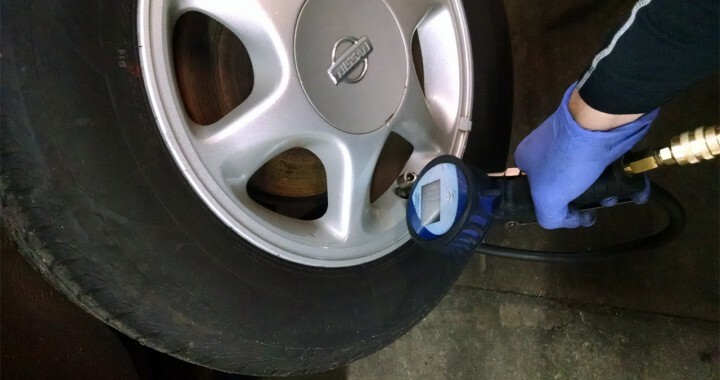 But the amount of oil is something that needs to be checked at least a few times between oil changes. Low oil can be a sign of some other issue with your engine and by checking it, you will not only be making sure you’ve got enough oil for the engine to operate, but you’ll also potentially be able to catch a problem while it is minor, before it becomes a major problem. 4. Remove the dipstick once again and see where the engine oil line shows. It should show between the high and low marks similar to the photo. 5. The oil should also be checked for wear. Dark, burnt looking oil will be due for a change, light colored and translucent oil is in good condition. The cooling system of your car has an overflow reservoir/expansion tank located somewhere in the engine bay. There are multiple places it could be, but once you find it, it will have Maximum and Minimum levels on the side of the tank to know where the level should be. Coolant level should always be checked when the engine is cold, and low coolant should be topped off with the coolant type that is specific to the vehicle, there are multiple different types. In emergency situations only, distilled water can be used to top off a low coolant level. Coolant level can be checked at the same time as engine oil is checked. There are multiple other fluids in your vehicle that are important to its operation, but none more critical than oil and coolant. If both of these are checked multiple times between oil changes there is a greatly reduced likelihood that any problems could occur due to lack of either of these fluids. If you are unsure of checking these yourself, we would be happy to give you the rundown at the shop here on your specific vehicle so you will be able to take care of it yourself in the future, or we’d be happy to have you swing by the shop for those checks whenever you’re in the neighborhood and we can give things a good look over for you.